The United States is home to a wide variety of natural attractions. The United States is huge: an impressive 3.71 million square miles (or 9.62 million square kilometers). There are states that make you feel like you’re staying in a tropical paradise. Other states have their own mountain hideaway, complete with ski slopes open for wintery fun. There are plenty of natural attractions across the United States with their own identity and their own thing that makes them special. You can visit deserts, mountain ranges, waterfalls, forests, canyons, glaciers, volcanic land and much more. There are so many landmarks that it’d take you years to visit all of them. In this article, we’re going to look at a list of top natural attractions found in the United States. This natural attraction also goes by the name of Denali. It’s the highest mountain in the United States. Denali features two summits, its South Summit and North Summit. The South Summit is the tallest, while the North Summit is a little shorter. Though, being a part of the tallest mountain in the United States means that both summits are pretty big, either way. 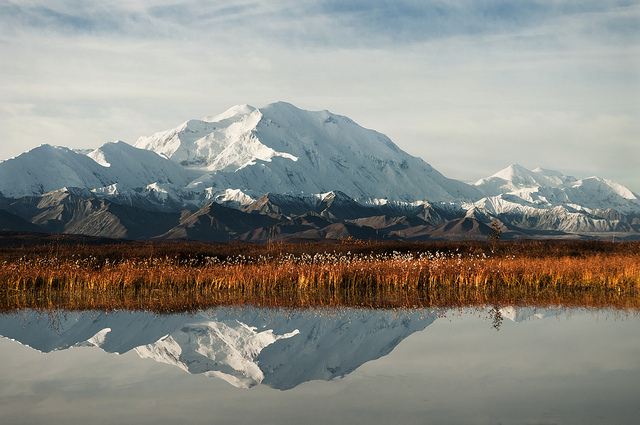 Mount McKinley is visited by millions of people each year. You can hike and camp there, which makes this mountain one of the best locations for a vacation in the mountains. There’s a reason why everyone talks about the Grand Canyon. It’s one of the seven natural wonders of the world and is, by far, one of the most celebrated natural landmarks in Arizona. Millions of people visit the Grand Canyon’s South Rim each year, while the North Rim is a lot more conservative. The North Rim is remote and covered in snow, and usually closed during winter. Besides the sights, the Grand Canyon is home to various hiking tours that let visitors see the Grand Canyon at their own pace. The highest waterfall in all of North America is right in California. Yosemite Falls, located in Yosemite National Park, is also known as one of the highest waterfalls in the world. Yosemite Falls is actually a group of three waterfalls: Upper Yosemite Fall, the middle cascades and Lower Yosemite Fall. 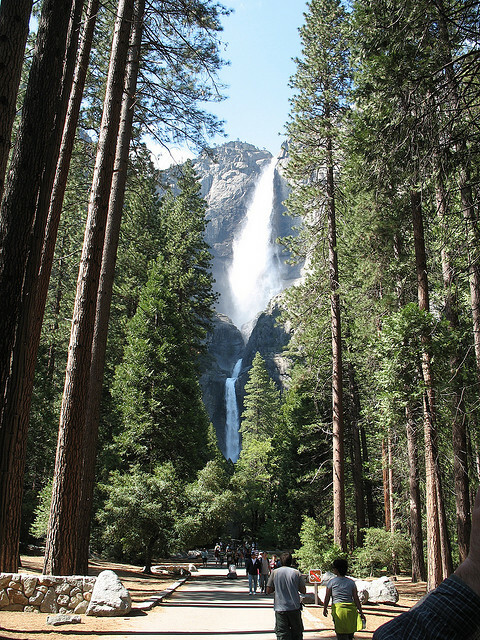 Though, various-sized waterfalls make their home all along Yosemite Valley. Hawaii is a natural wonder by itself. Every year, people travel to the island state just to see its natural beauty. The Hawaii Volcanoes National Park at Big Island hosts some of the most interesting and breathtaking volcanic land in the United States. 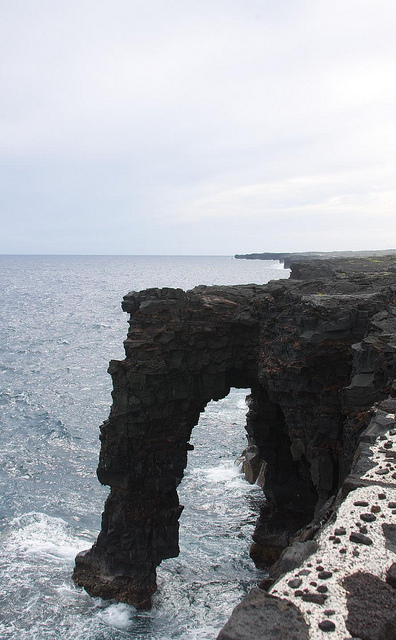 The national park hosts two active volcanoes: Mauna Loa and Kilauea. Kilauea is one of the most active volcanoes on the planet, but seeing one of the most active volcanoes isn’t the only reason to come to the national park. The park is filled with plenty of volcanic fare to take in, such as lava tubes, sea arches and steam vents, in addition to active craters. It’s probably one of the most popular tourist attractions to see in Hawaii, due to the fact that you can see red and freely flowing lava up close. Everyone knows about Yellowstone National Park. In fact, it’s probably the most popular natural attraction across the United States. It’s also one of the largest national parks in the world. Yellowstone National Park is also a home to plenty of recreational activities, including fishing, boating, camping, hiking and exploration tours. The Park is pretty accessible, too, since they’ve long since paved plenty of pathways to let visitors see all of their natural wonders up close. As you can see, the United States is home to plenty natural attractions. So, if you’re planning a vacation soon, why not book a trip to one of these places? You can do this quiz online and check your answers here. 2 What do visitors do at Mount McKinley? A Climb to the summit. C Slide down the many ski slopes. 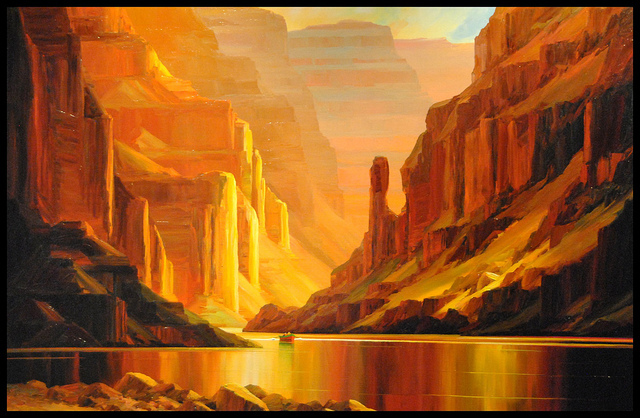 3 What does it mean that the Grand Canyon is one of the natural wonders of the world? 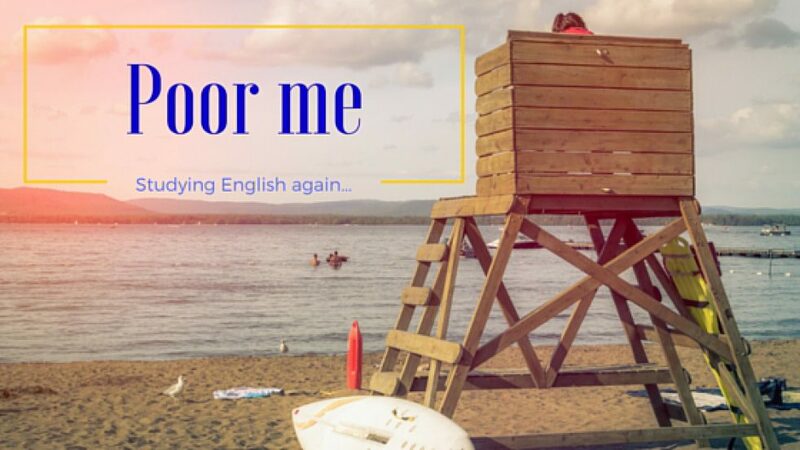 A You can have a good time there. B You can do many things if you’re a creative person. C The view is magnificent. D There is no other place in the world that is quite like it. A A park which boasts one very high waterfall. B A nature park with two high waterfalls. C A nature park with three high waterfalls. D A nature park with three very high waterfalls and a bunch of smaller ones. 5 What’s the top attraction in Hawaii? A The splendid volcanic landscapes. C A dormant volcano where you can see lava up close. D Steam vents: holes in the earth from which hot clouds escape. 6 What type of volcanoes can you see in Hawaii Volcanoes National Park? A All of the volcanoes on Hawaii are active: they’ve erupted in the past few hundreds of years. B All of the volcanoes on Hawaii are extinct: they haven’t erupted in thousands of years. C Some volcanoes are active, others are dormant and a few are extinct: they probably will never erupt again. D You can see lots of flowing lava on the island, so it means the volcanoes are active. 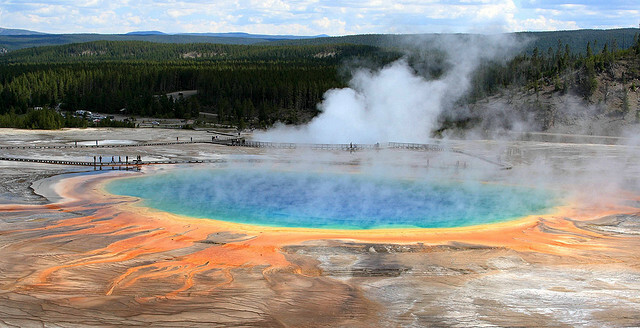 7 What’s the top attraction in Yellowstone National Park? A An old geyser that doesn’t work well, but is beautiful. B A spectacular hot water spring called Old Faithful Geyser. C A boring vapour that bursts out of the earth. It’s the biggest in America, but there are bigger ones in Iceland. D Lots of cool hikes, boating and great fish. Like to do more quizzes? Have a look at the website or become an Exclusive member and receive quizzes especially for you. This is very helpful and important lesson.